In this episode, Jen babbles on about Diablo III all by herself while fighting a sinus infection and bad allergies. Hopefully, ya’ll will find this episode entertaining anyway. * I share what I’ve been up to in Diablo III by talking about missing Achievement Toasts (that turned into Achievement Toast Spam), and how far I’ve gotten in the Season Journey. * The new question of the show is: What’s your best advice on how to master a set dungeon? Send an email with your ideas to show@shatteredsoulstone.com. * I read and responded to tweets from: @shawno, @thealienationer, @nevikjames, and @KatzuHSMedia. * I read and responded to an awesome email from RumClub. Thanks for the email! You can send your thoughts, questions, comments, and stories about what you have been up to in Diablo III to show@shatteredsoulstone.com, or send us a tweet @ShatteredStone. We will be happy to read it and share our thoughts about it in our next episode. * Chris Metzen is retiring from Blizzard Entertainment! * Josh Mosqueira is now part of Bonfire Studios. * Wyatt Cheng addressed a common question from the Barbarian Community in Developer Chronicles: Wrath of the Wastes. * There was a Diablo Live Art Session at Gamescom 2016. It featured Senior Diablo III artist Paul David who drew the Dark Wanderer. ….Why did he pick the Dark Wanderer? Speculation abounds! * Moonware Picture and Productions MTK4 is making a Diablo fan film called Diablo: Rise of the Demon Hunter. * Game Dev Unchained interviewed Jay Wilson in their Episode 46 – “Directing Diablo 3 and dealing with burnout featuring Jay Wilson”. * Dreadscythe on BlizzPro wrote an interesting article titled Developer Hell #2 – Paragon: “A Tale Of Two Cities”. * Diabloii.net posted an interview with Community Manager Grimiku: “One life to live: Behind the Blue Veil Interview with Diablo’s Grimiku”. * There’s an amusing Forum Post on Battle.net titled “2 Cents on Stash Space Tied to Seasons”. Episode 123 – Director Who? In this episode, Lanntonio is joined by Vespertillo (also known as Dylan). Breja is busy this week, and Jen is struggling to cope with the start of ragweed season (so they aren’t in this episode). * They share what’s going on in their real lives before discussing what they each have been up to in-game as Season 6 came to its end. Those of you who wanted to learn more about Monk builds or Witch Doctor builds are in for a treat! They also have some advice about set dungeons and where to find pets and cosmetics. * They mention the Diablo II videos that feature Lanntonio and Verspertillo playing the game together. * They read and responded to tweets from: @Shawno, @Medros, and @Lanntonio. * Polygon reported that Josh Mosqueira has left Blizzard Entertainment. * Starting with that news, Lanntonio and Vespertillo went into a discussion about what the future of the Diablo franchise might be like. What do you think will happen? 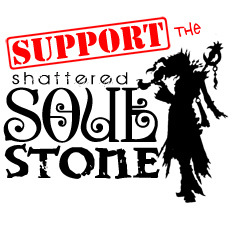 Send your thoughts to Show@Shatteredsoulstone.com or tweet us @ShatteredStone! * Nevalistis posted a blog titled: “First-Look – Season 7 Journey”. * Nevalistis also created a Forum post titled: Welcome Back Tyvalir! * “Play Your Way Thursday” featured Sindro’s “Convection Barb” Build. * Leviathan posted a video titled “[Diablo 3] Season 7 Preview – Haedrig’s Gift & Seasonal Journey Rework”. * Wyatt Cheng added a comment, and an apology, on the Forum Post titled: “Location of Khazra (Fallen) Pennant?” In short, Wyatt Cheng apologizes that they made a mistake and certain items that were intended to be extremely rare did not appear at all.